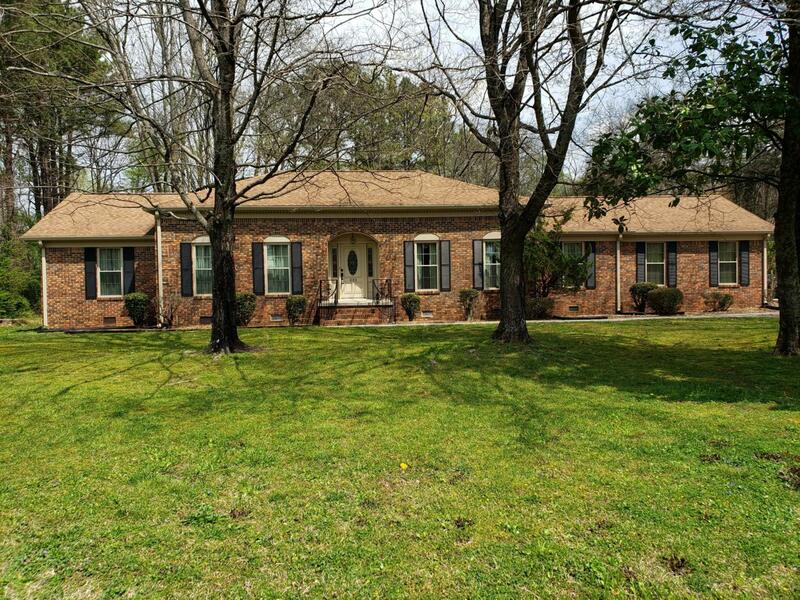 Beautiful full brick ranch home in excellent condition. Just under 4000 Sq. Ft, 4 bedrooms, 3.5 baths, updated kitchen with new cabinets , granite counters, stainless steel appliances, pull out drawers in pantry, soft close cabinets, double oven, under counter lighting. Home offers hardwood floors, ceramic tile and carpet in bedrooms. New insulated double hung windows throughout, kitchen with breakfast nook, formal separate dining room, finished bonus room, two master suites,lots of storage and so much more! Sellers have taken pride in maintaining this beautiful home. Home sits on 2 lots.